Make that special dance a magical memory, dazzle your family and friends with a wonderful waltz, romantic rumba or maybe a jazzy jive to be a little different. 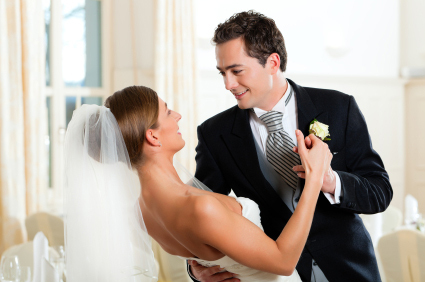 The first time you dance as a married couple for all your guests to see is a memorable occasion. Choose a song with personal sentiment and leave the rest to us. We believe in value for money and so do not charge for a block of lessons. Lessons are booked on a one at a time basis, as we appreciate everyone has very differing needs and ideas for their first dance. To book give us a call. leading experts in the northwest.